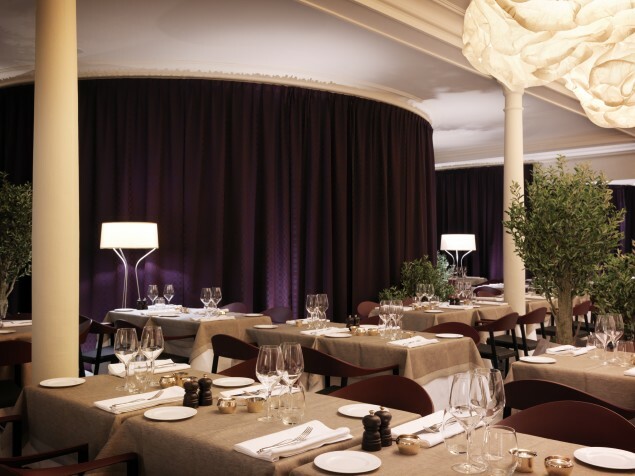 Leave it to Swedish designers to create an exciting space for Italian cuisine at Caina! 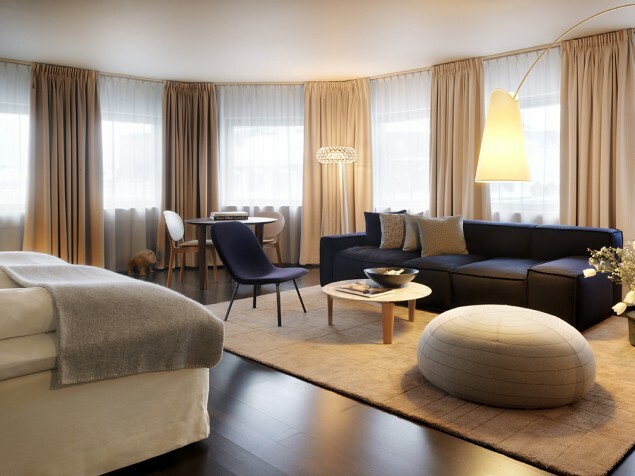 Nobis Hotel is an exciting addition to the luxury hotel market in Stockholm. It is located in the famous (and infamous) Normalmstorg Square in the the heart of both the business and shopping districts. 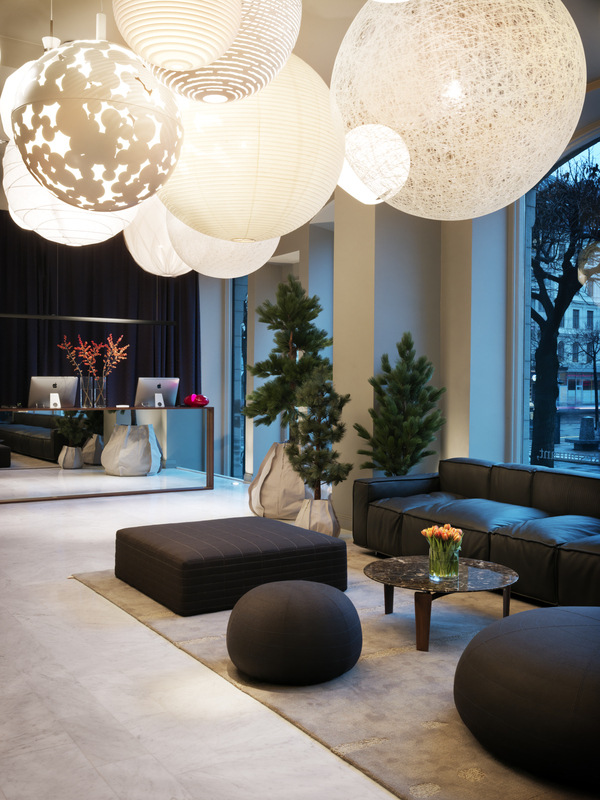 Nobis is an independently-owned 5-star hotel with a vibrant design that combines the old with the new. The hotel occupies two side-by-side, late 19th century buildings, both designed when the world was in the throws of the industrial revolution. The southern building, designed by architect Oskar Ericcson, was completed in 1886 and was the home of a wealthy industrial businessman. In the 20th century the building was converted to retail banking and later became famous as a site of a robbery and hostage crisis in 1973. 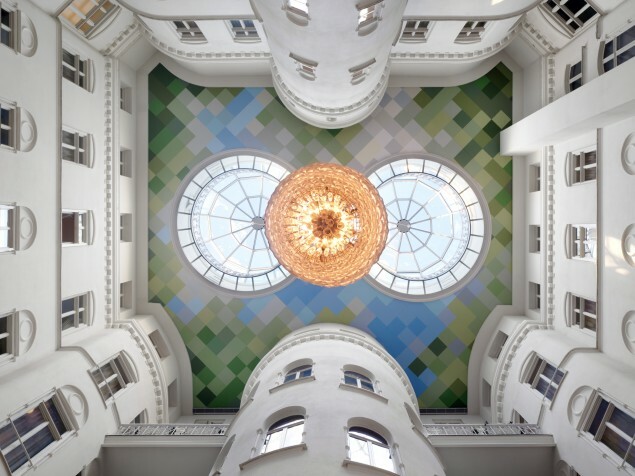 The northern building was designed by architect Johan Laurenz and was completed about 7 years later than the first. This building contained upscale residential apartments and also became a financial institution though without the dramatic events associated with its neighbor. The two buildings were connected up to the third floor in 1971, and the original historic elements of both buildings were restored. 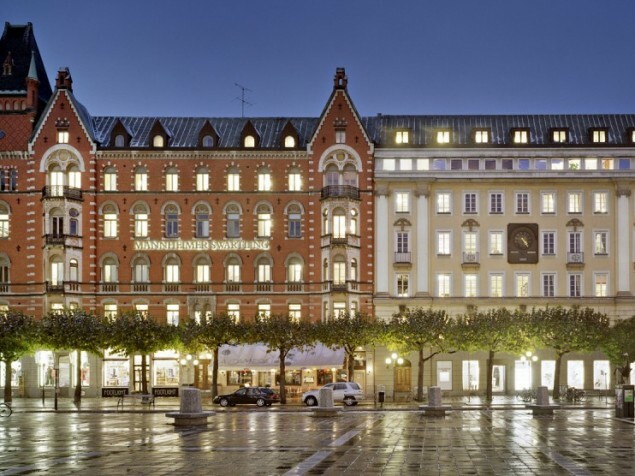 Both buildings are protected by the Swedish National Heritage Board as landmarks. There are 201 guest rooms and suites, many of which show off the fully restored, original historic features. Caina Restaurant and the casual Bistro Bar offer classic Italian cuisine, both in a contemporary setting. 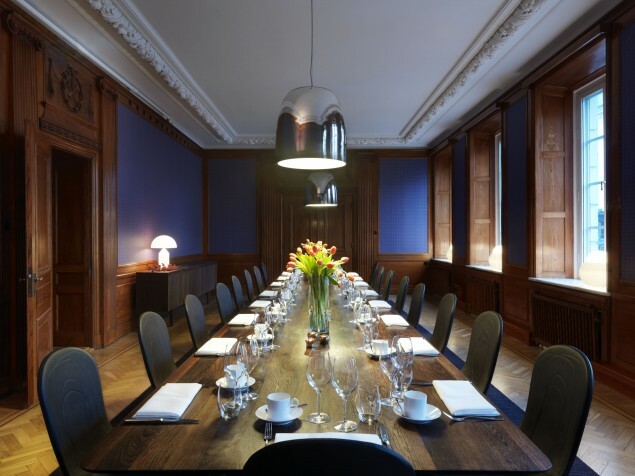 There are several private meeting rooms, of which the former bank boardroom is our favorite. It features historic wall paneling and an ornate plaster ceiling, in refreshing combination with modern furniture and lighting. Larger group events can be accommodated in the nearby Opera House, an historic building that contains a restaurant, nightclub and rooftop glass-enclosed meeting space. We like everything about Nobis! It is such a perfect "match" integrating the venerable, period structures with the excitement of modern interior finishes and furnishings. 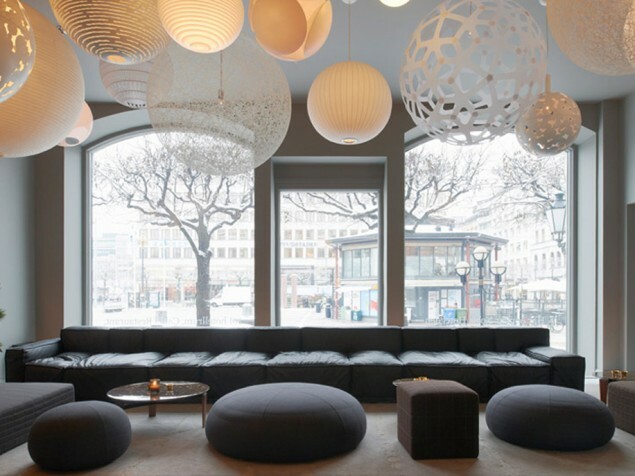 We salute the look, the feel, and the vibe of Swedish contemporary design and, in particular, of Nobis Hotel.